Dr. Tong was born in Okinawa, Japan and before finishing elementary school in Taiwan, his family moved to Hawaii. Dr. Tong lived in Hawaii from 6th grade until college where he attended the University of Hawaii on a full scholarship and graduated with a Bachelor of Science degree in Electrical Engineering. He was a member of Eta Kappa Nu (HKN), Electrical Engineering Honor Society. He was selected to work at the Hawaiian Electric Company as an engineer for a few years before receiving a scholarship to go back to school. In 1998, Dr. Tong obtained his Doctor of Dental Surgery degree from the University of Southern California School of Dentistry. After graduating from the University of Southern California School of Dentistry, Dr. Tong practiced in Seattle, Washington and in Los Angeles, California before becoming a clinical director for a large dental corporation where he managed 4 dentist and 10 staff. 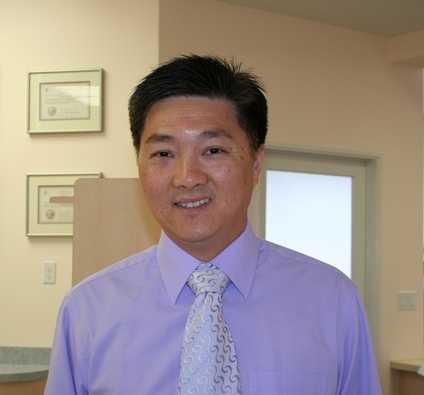 In 2003, Dr. Tong opened his first dental practice in Sunnyvale, California. In 2010, Dr. Tong opened his second office in San Jose, California. From 2003 to 2005, Dr. Tong finished a two years orthodontic program with Progressive Orthodontics. In 2006, he completed a one year bone graft and implant surgery program with Implant Seminars. For the past 20 years, Dr. Tong has participated in intricate training in all aspects of esthetic and cosmetic dentistry. He actively attends seminars and continues his education to keep abreast of the latest techniques and advances in the field of dentistry. Dr. Tong is a board certified dentist in California and Washington state. He is a member of the American Dental Association, California Dental Association, Santa Clara County Dental Society, and a fellow of the International Congress of Oral Implantologists. Dr. Tong is also fluent in Mandarin and Cantonese. Dr. Tong is passionate about many things in his life, and his wife and children are at the top of his list. He enjoys traveling and sports. Dr. Tong wants to be certain that all of your concerns are addressed. If you forget to ask a question during your visit to one of our dental offices, you may leave a message at (408)245-6888 for Sunnyvale office or (408)873-8000 for San Jose/Cupertino office. You may also e-mail him at drtong@dentalsolutionsca.com. Please be sure to include your name, and phone number so that we can access your records quickly.